Enprotech Industrial Technologies delivers a wide variety of repair and rebuild solutions for the metal stamping industry. Enprotech’s strength in engineering, leading industry resources and multiple locations allow us to meet your demands on large, multiple press projects in the U.S., Canada and Mexico. Our expertise can enhance your machine performance and productivity, improve your reliability and maintainability, and minimize your set-up time. Our ISO 9001 and ISO 14001 certificates demonstrate our commitment to giving you the highest quality service, while our expert press repair, replacement parts, rebuilding and equipment upgrades cut downtime and increases your productivity. Cushion Retrofits and Upgrades – Fully controllable hydraulic and pneumatic cushion designs are custom engineered to retrofit into your existing press with advanced options such as, pre-acceleration, adjustable stroke and hydraulic lock/snubbing to control return and stopping speed. Rolling Bolsters – We design and build rolling bolster systems in every configuration to suit customer quick die change requirements. Straight through and T-track systems are available “as new” or “retrofit” of an existing bolster using air, hydraulic or electric motor drives. Speed Changes – Demands for greater productivity can be obtained through engineering analysis and modification of the press drivetrain to increase strokes per minute. Slide Safety Lock Systems – Slide lock retrofit designs add an additional margin of safety by locking the slide in any position of stroke when it is necessary for personnel to enter the die space for maintenance and die changes. 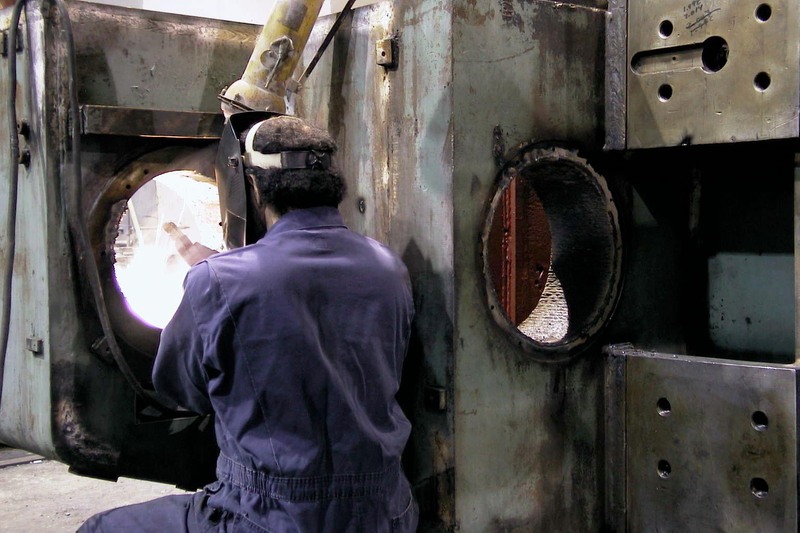 Enprotech has the experience and resources to repair and rebuild a wide variety of more than 100 different makes of presses. Solving your machinery problems is our priority at Enprotech, with over 70 years of experience in repairing metal forming equipment. We have the knowledge and proven procedures that provide cost effective and reliable repairs to restore broken drive shafts, crankshafts and hubs. For manufacturers faced with plant consolidations and equipment relocations, be assured that Enprotech has the plant capability and project management resources to keep your projects on track. Our technicians will diagnose problems as the equipment comes out of service. Then we will make recommendations on necessary repairs and enhancements. 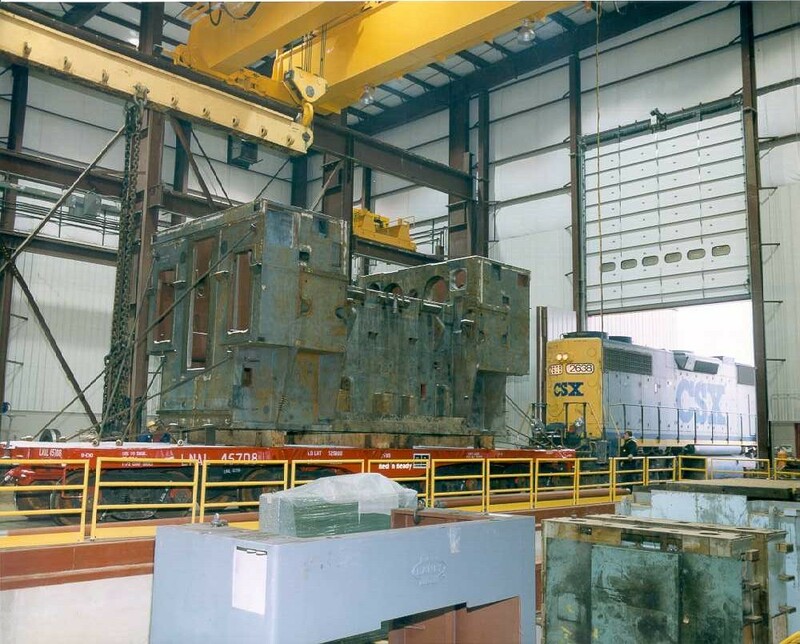 If complete rebuilding is warranted, our facilities have heavy cranes and machining capacity to handle even your largest equipment. 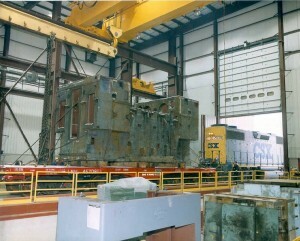 Our electrical engineering staff can integrate new automation and auxiliary equipment for your new manufacturing cell. On-site installation supervision, project management, and start-up assistance by Enprotech will bridge the gap between rigging services and a successful start-up. Our field service staff has been expanded to support customers’ operations. 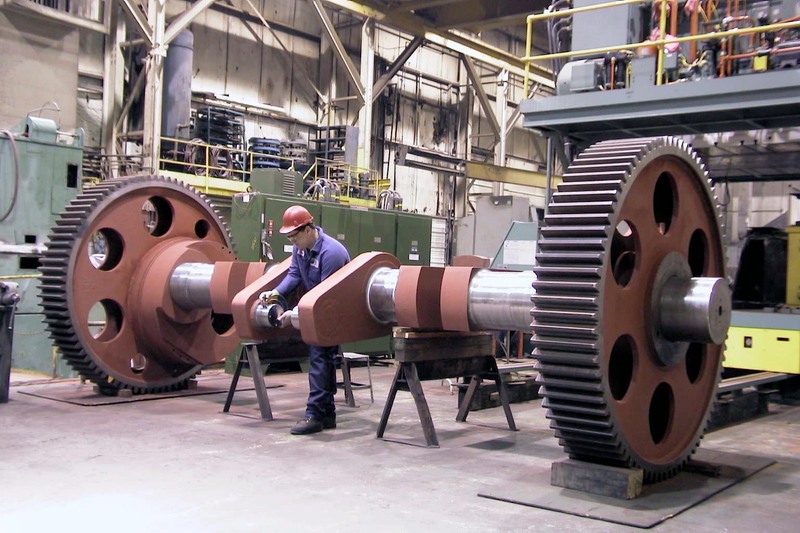 When you need emergency service, trouble-shooting, on-site machining, control upgrades or annual machinery inspections, our experienced technicians will travel to your site to reduce downtime and quickly put your equipment back in production.